Latin America has more than 250 million unbanked adults. People that have no access to capital market and the financial tools that can empower one to revert the vicious cycle of poverty, by accessing credit, protecting assets through insurance, investing to preserve property and having trusted third parties to facilitate transactions. Solving problems like this is one of the reasons why we chose to work with blockchain. We believe that this scenario creates an environment for massive disruption. Thus, we at EOS Rio have worked with different initiatives leveraging blockchain to bring financial services to the unbanked, such as Banco Maré. 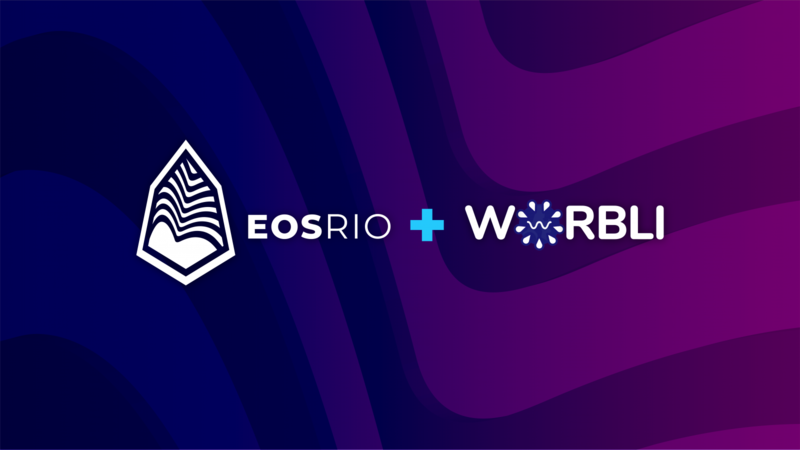 We are happy to announce that EOS Rio is stepping up our efforts by collaborating as block producer on WORBLI, a sister chain of EOS. WORBLI optimizes EOSIO for enterprises and financial operations by making adjustments to the software and setting specific governance and rules. Those are different from EOS mainnet for increased compliance. It’s a great thing that our ecosystem has the flexibility to launch sister chains as a way to meet compliance standards worldwide. This improves usability and takes us one step closer to mass adoption. WORBLI provides a massive opportunity for disruption of financial services. Unlocking access to capital in emerging markets and serving the 2.4 billion unbanked worldwide are just two of the many possible applications that will provide the conditions to leapfrog traditional banking system and make a faster transition to a crypto economy – and we’re stoked to be part of this movement! The WORBLI community can expect us to work on the development of inter-blockchain communication (IBC) and sidechains, build tools to empower the community and educate people to grow adoption. It’s important to say that our commitment as EOS Block Producers just gets stronger with this partnership. EOS mainnet is our priority and we will keep our “block producing first” policy, as stated in our code of conduct. In our view, it’s a complementary work to be Block Producers on both chains. The EOS ecosystem will benefit from WORBLI’s adoption because network effects will create value to EOS mainnet as more people join WORBLI.